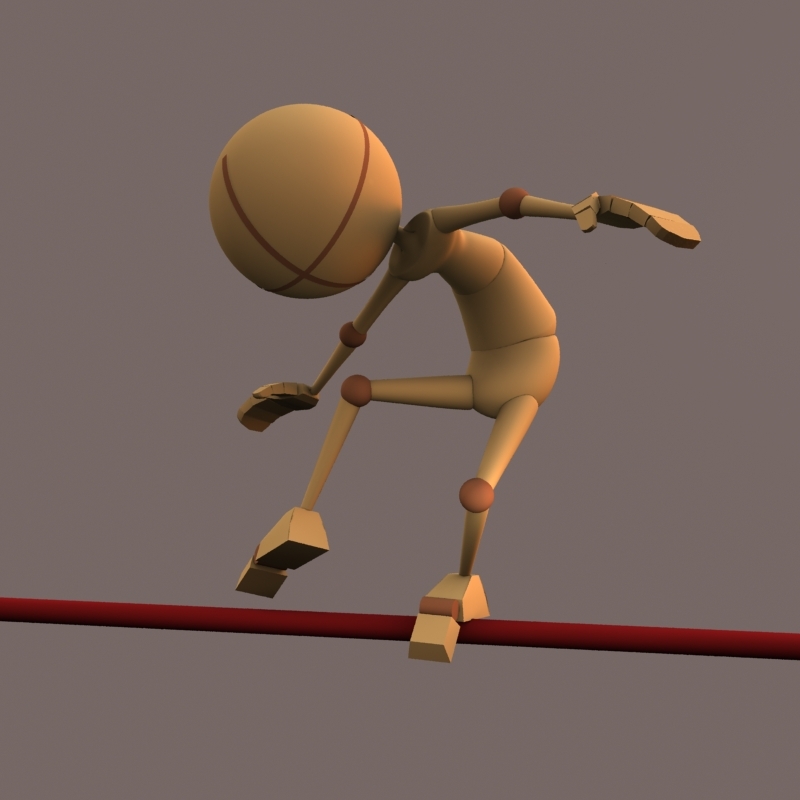 Week 11, we are in the home stretch, with only this animation and a pose, we will have completed our work for class 1. Now, to cut down on confusion with my next post, we did still have another week of class, but you will see the fruits of week 12's labors soon enough. The animation this week finishes off our personality walk and adds a new twist. For the first time this term we are animating "in 3D." In other words, rather than a side view like all other assignments, this time we show our character walking with the camera providing roughly a 3/4s view. And a quick message: Kids. Eat your vegetables, floss your teeth, and DON"T PROCRASTINATE. And this week's pose - balance. Here is my pose entitled "Don't look down"